This time of year, I love walking down the aisles at the stores and seeing all of the Valentine’s Day supplies. It’s one of my favorite times of year, especially because it gives me something to look forward to during the cold of January. This year, there is even more excitement as I’m counting down the days until the remake of Disney’s “Beauty and the Beast” comes out! 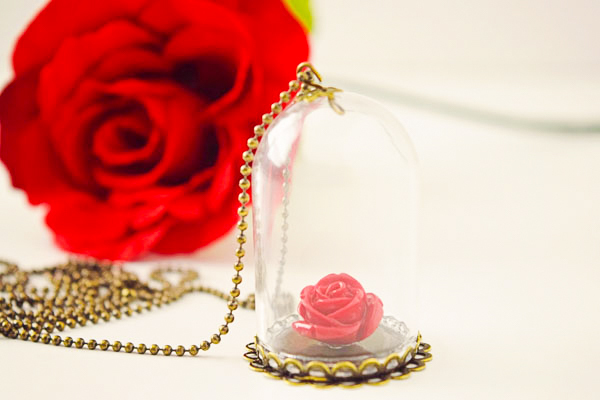 I decided to combine the two things together and create an Enchanted Rose Necklace to celebrate Valentine’s Day and the release of my favorite princess movie. I always connected to Belle because she was smart, didn’t care what others thought of her, and she ultimately followed her heart. Even at 8 years old, I understood that those were qualities to aspire to and she’s been my favorite heroin ever since. I had her Barbie doll, the Beast barbie doll, accessories, backpack, shoes, jewelry… if it was “Beauty and the Beast” related, I owned it. I remember listening to the radio to hear the song come on and singing with Celine Dion at the top of my lungs. I still do! I’m confident that Emma Watson will do her character justice, I couldn’t think of anyone else more perfect to play the role of Belle. This next month, I’ll be sharing more crafts related to the movie release. This is a great time of year to get supplies for it because roses are everywhere! You only need a few items to make one of these necklaces. 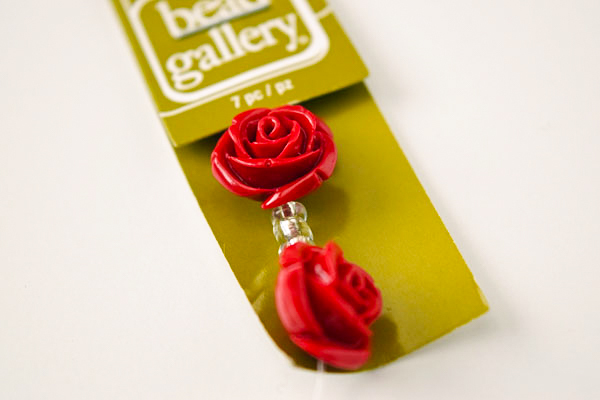 The first are these beautiful rose beads I found at Michaels. They are absolutely perfect! 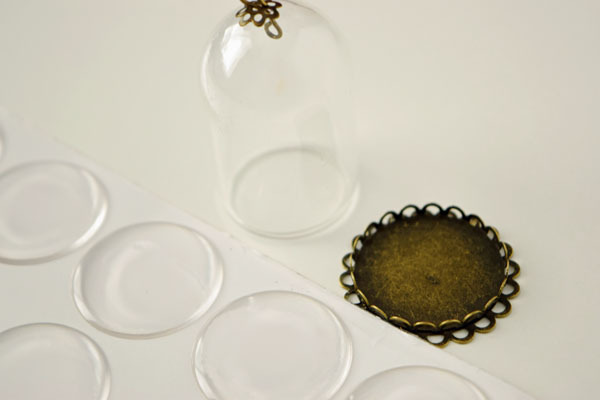 For the glass dome, I found these little glass domes in the jewelry section. They’re about 1.5 inches tall or so. 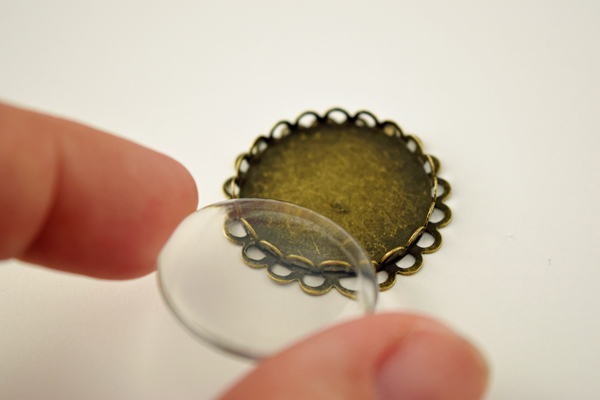 You can also find round epoxy stickers that fit inside the bottom that are 25 mm. These were all in the jewelry section at Michaels too by Bead Landing. 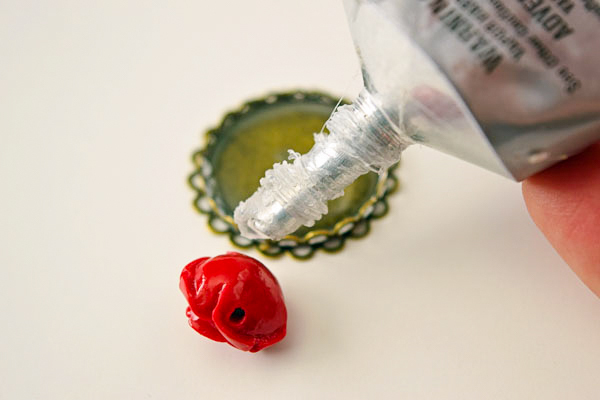 To start, add one of the epoxy stickers in the bottom of the dome. You don’t have to do this step but it adds a little extra something to the necklace and some additional height so the rose bead sits up a little higher. All you have to do is adhere it and press down. 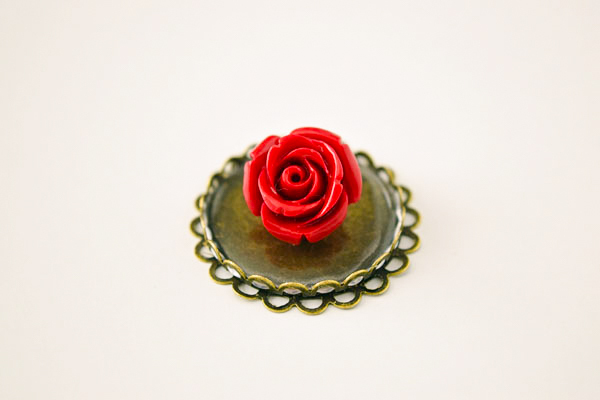 Next, use E6000 to glue the rose bead to the middle. You don’t need much. Put it in the middle. You can angle it some too so that it leans a little more forward. See how it sits forward a little? This will be the front of the necklace and adds more character. Next, carefully add more E6000 to the bottom of the dome. 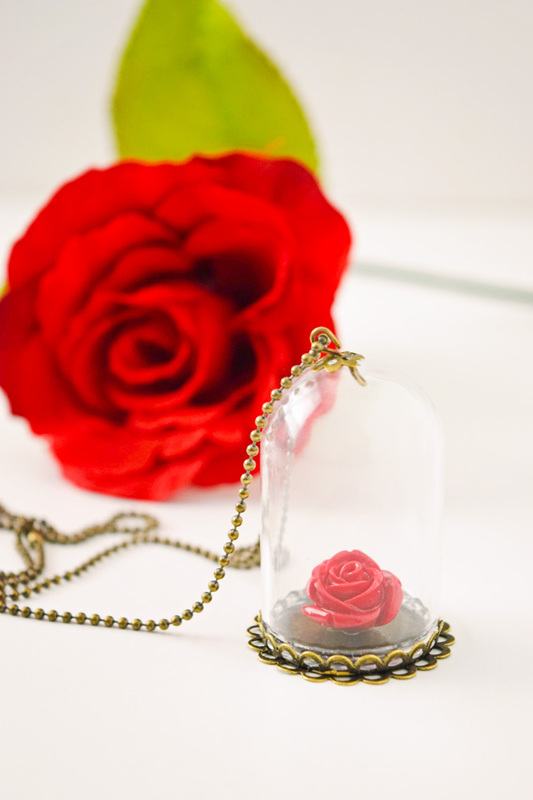 Place it carefully on top of the rest of the enchanted rose necklace. 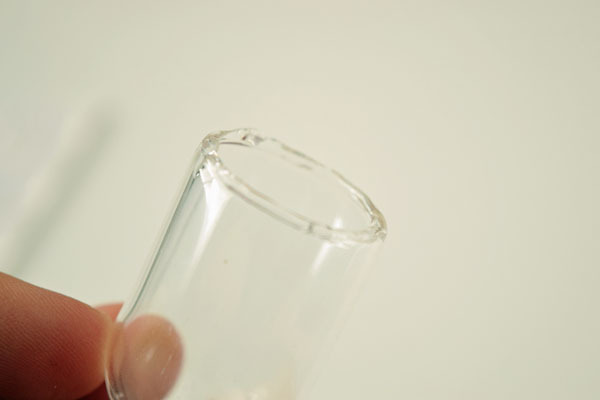 You don’t need to add much pressure, just a little. 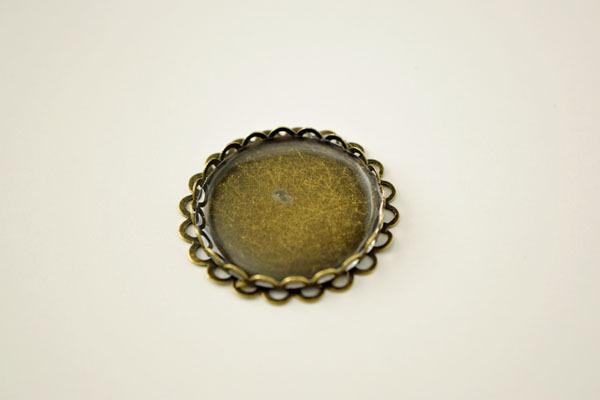 Once it’s dry, add your chain through the top and you’re done! It literally takes about five minutes to put together. 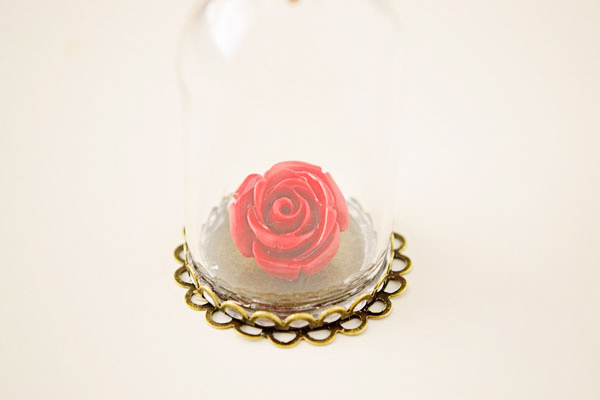 It’s a fun craft for a party and perfect for Valentine’s Day or to wear to see “Beauty and The Beast” when it comes out! 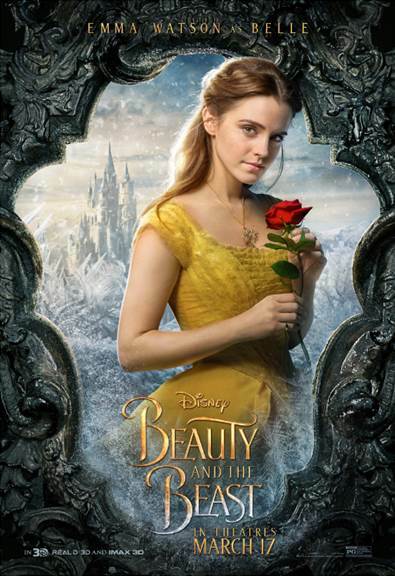 Speaking of “Beauty and the Beast”, have you seen the final trailer? It’s the longest one yet! I was so giddy when I watched (and I may have it watched it several times). Now, just take a moment to let it sink in. And watch it again! 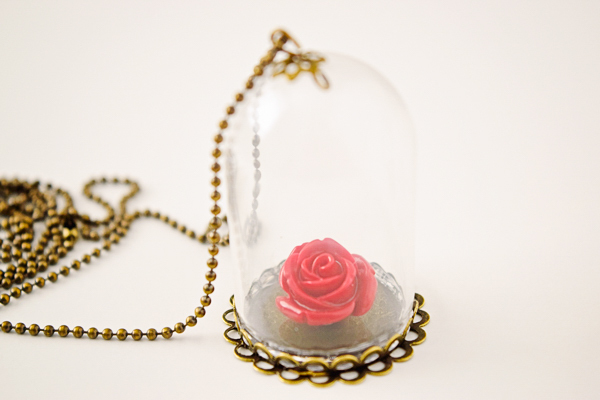 And then make yourself an Enchanted Rose necklace too in celebration! 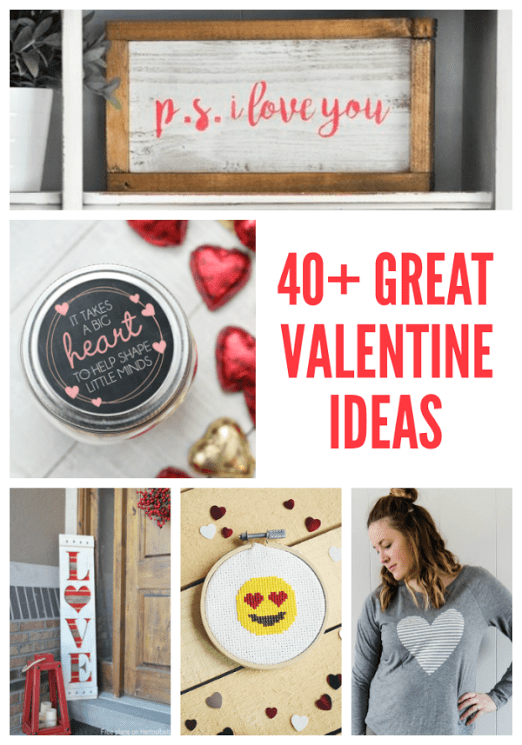 I’m really excited to be sharing some other great Valentine’s Day projects from 40 other bloggers. There are printable Valentine’s, DIY projects, and gift ideas. A little something for everyone! 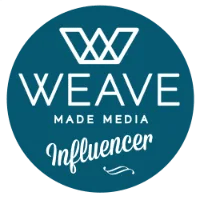 Be sure to stop by and check them out! You can see all of the projects below.